After dropping out of college, 20-year-old Rodney Zinn found himself working various restaurant jobs in San Francisco making minimum wage. He wanted to find a career where he could help people. He gravitated towards the medical field because he grew up watching his mother battle multiple sclerosis, a debilitating autoimmune disease that affects the central nervous system. Zinn’s aunt told him about an opportunity with the EXCEL (Excellence through Community Engagement and Learning) program, a partnership of UC San Francisco, the City and County of San Francisco and the Jewish Vocational Services (JVS). It is a work-based learning program that uses both classroom and on-the-job training to prepare participants for career path job in the health care sector. Out of more than 100 applicants, Zinn and 18 of his classmates were chosen to start the seventh cycle of the EXCEL program in May 2014. The 19 interns started with classroom training. Then in August, they transitioned to on-the-job training at various UCSF departments and clinics. “The EXCEL Cycle 7 class has been an amazing group of interns,” said Damon Lew, assistant director of community relations at UCSF, who directs the EXCEL program. “They came into the program tremendously focused on their career goals and this is reflected by the number of interns that are either working in temp positions at UCSF or moving on to career positions after their internship." 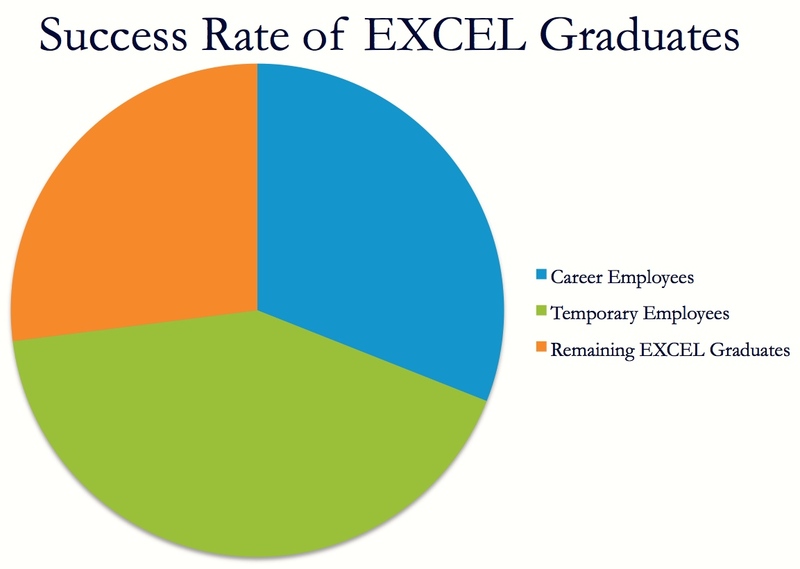 Out of 110 EXCEL graduates since 2010, 73% have moved on to career or temporary positions. To learn more about how you can host an EXCEL intern, please visit the EXCEL website. Out of 18 graduates, at least three have been placed in permanent jobs at UCSF. Zinn interned with the Osher Center for Integrative Medicine, where he impressed clinical and administrative leadership. Despite being the youngest person in the program, Zinn secured a permanent career position as a patient care coordinator with the UCSF Multiple Sclerosis Center. Zinn has found, what he describes as an “ideal career position,” since he is helping patients who are battling the same disease his mom has. Going from bussing tables for minimum wage to a career position in the health care industry is something Zinn could not have imagined a year ago. “The EXCEL program gave me a reason to live in a sense. That’s really the best way to summarize it,” he said. “This program made me realize I have a purpose in life and that I can do great things in this world and that I can help people who are like my mom. To find out more, please visit the EXCEL Program's website.